Happy New Year everyone! Post all the holiday over indulgences I was in the mood for pure and simple. This cauliflower soup delivers on both counts. 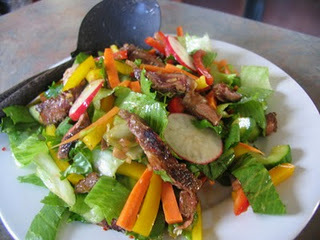 I love when just a handful of the most simple ingredients can come together and make something so tasty and nourishing. This bowl of soup will warm your soul and give your body a welcome rest from all those rich holiday feasts and the following days scoffing left overs; we seem to be in the midst of a never-ending supply of ham! It has also been a little wet and wild down our way so perfect soup weather. All you need, one cauliflower, one onion, one garlic clove, a little butter and olive oil, salt and pepper; and water. See...simplicity itself. I am not usually a fan of cauliflower but the gift of a beautiful head of cauli, bio dynamic at that, from friends was just too beautiful. This soup, despite the few ingredients, is full of flavour, cauliflower flavour, and you can just feel it nourish both body and soul. White pepper, you could use black pepper, and I usually like those peppery black flecks, but today I was aiming for pure. Add the butter and olive oil to a large saucepan and heat over a medium heat. It needs to be large enough to take all the cauliflower comfortably. 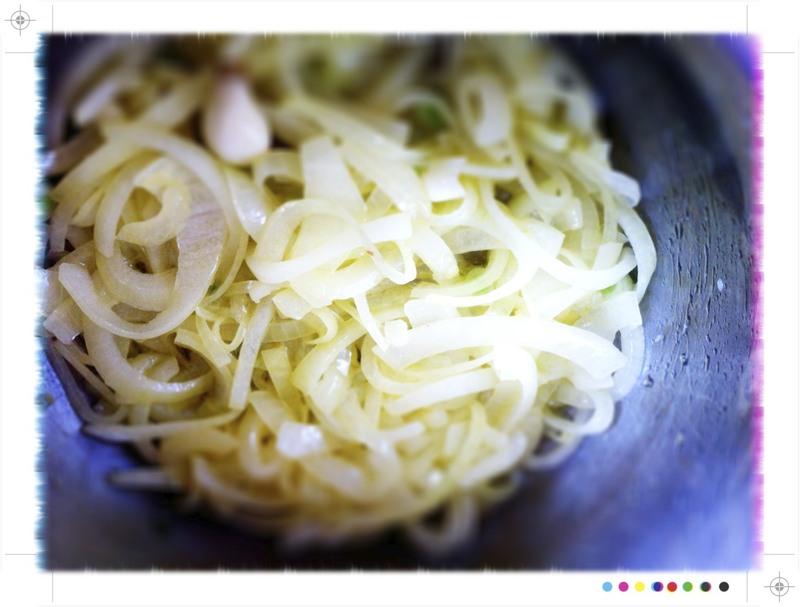 Reduce the heat and add the onion and the garlic clove. Season with a pinch of salt and heat over a low heat for about 15 minutes, we are looking for translucent and soft with no browning so the lower the heat the better. 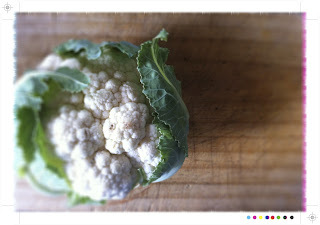 Add the cauliflower florets, 1 cup of water and increase the heat to medium low. 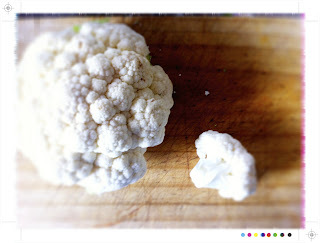 Cover the pot with a tight fitting lid and let the cauliflower cook for 15 - 20 minutes until it is tender. Add the rest of the water and cook for a further 15 minutes. 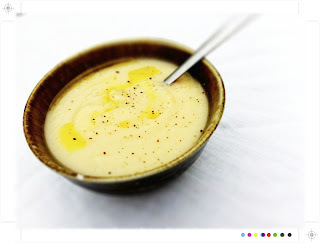 Puree the soup in batches until you have a smooth creamy consistency. Taste and season with salt and pepper. The soup will thicken as it cools so just add a little water when you reheat it, or none at all if you like it thick. 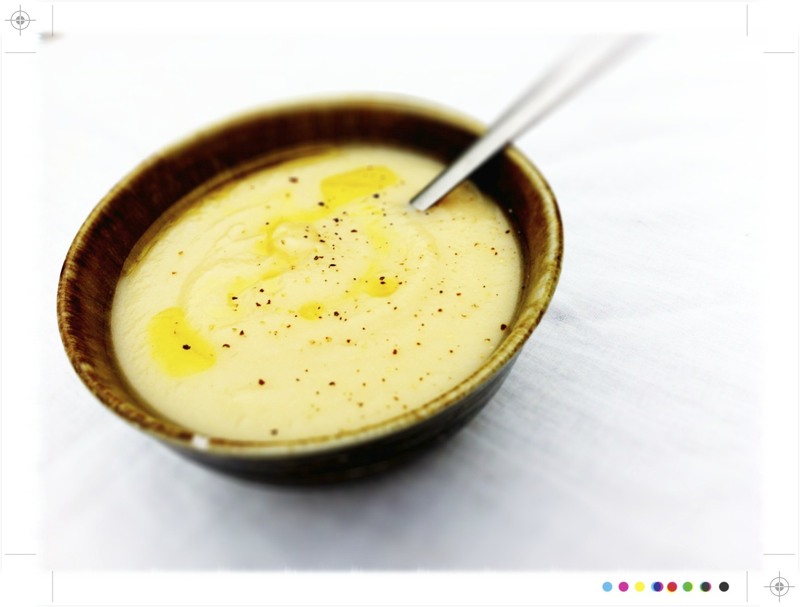 To serve drizzle with a little extra virgin olive oil and a sprinkling of freshly ground black pepper. And on that note I wish you all a very happy and safe 2012 that is filled with love, laughter and of course good food! 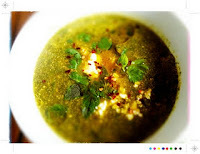 If you like this you might like this Herb Soup - a bowl of green goodness. I like simple, pure and good. This looks delicious and very calming! Happy 2012, Mairi :-) May it be a delicious year for you and your family! What a lovely soup - perfect for this time of year! 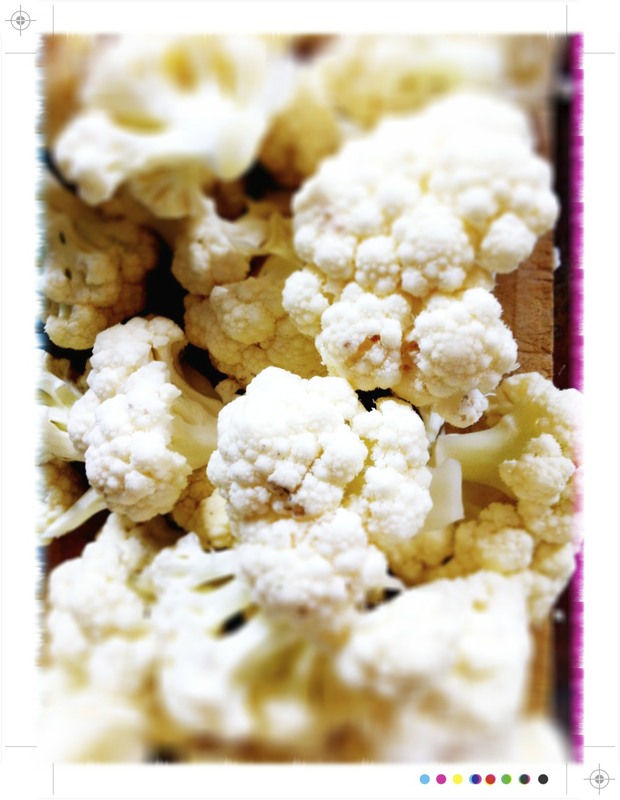 I love cauliflower in any form and this looks like a marvelous recipe to make. Happy New Year to you! 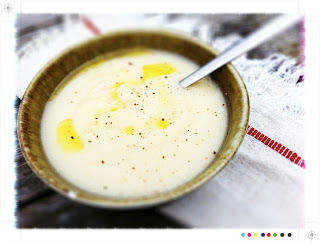 I love cauliflower soup, and this would've been perfect for those rainy days we just had... fingers crossed they don't come back! @Mel Thanks Mel...Happy New Year to you too! @Hannah Thanks Hannah....perfect in the north & south hemispheres :) Happy New Year to you too! @milliemirepoixThanks Mika....and the rainy days are back but perfect for baking!! 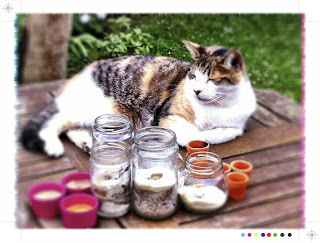 @Jeanne Thanks Jeanne, yes that would be Clara,,,the lady of the house & most definitely knows how to relax...is there a cat that doesn't?